Yuck! I know, but ironically, this first sentence gives us a look into Winnifred’s personality and the tone of the rest of the book! It’s so fun! 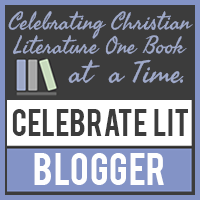 I’m not going to share anything else about the book today, but you can watch for my review on Tuesday with the Celebrate Lit Blog Tour. Now grab the book nearest to you or the one you’re reading and comment with the first line. Then head to HoardingBooks for more participants in First Line Friday’s. Dismal, Nevada – Never has a town been named so right. The sheriff’s office and the barbershop were in the same building because the sheriff and the barber were the same man. Penny Scott suspected the man made more money at his barbering. Does anyone else’s nose get itchy when they read that line? Lol!